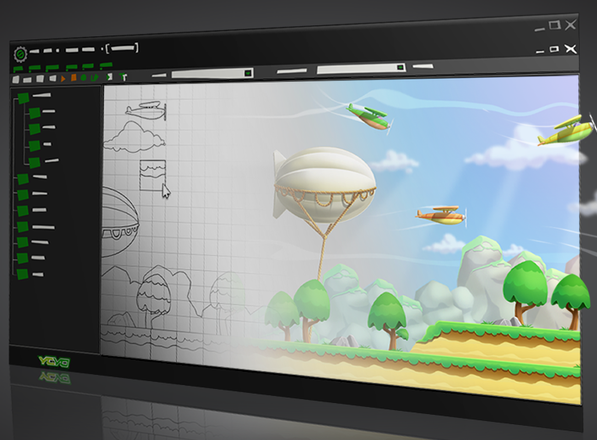 YoYo Games' popular 2D game engine GameMaker will soon have an option for exporting games to Ubuntu. Similar to what Unity 4.0 game engine is doing, developers will be able to export their games to Linux platform. GameMaker can build both native apps and HTML5 versions. The IDE or the Game Editor itself may not be available on Linux yet. However, Yoyo Games is targeting a cross platform IDE (will run on Win, Mac and Linux at least) in next GameMaker release. Indie hits like 'Super Crate Box' and the original PC version of 'Spelunky' have been made made using GameMaker. I hope this new feature will bring more Indie games to Linux platform. Basic version of GameMaker is free and the paid version have three different packages for $49, $99 and $499. More details can be found here.